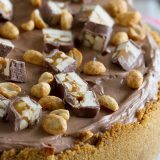 This Snickers Cheesecake has a graham cracker crust, chunks of Snickers candy bars, a creamy cheesecake layer, then a smooth, chocolate cream cheese frosting. Don’t forget more Snickers and peanuts on top! 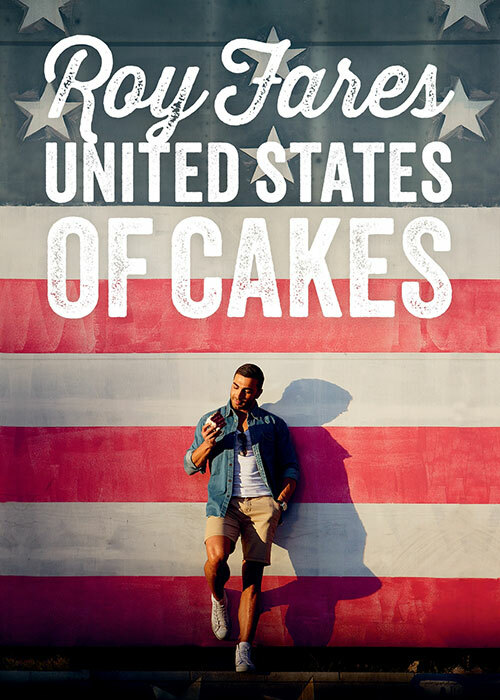 Plus a review of United States of Cakes by Roy Fares. The way I have blogged over the years has changed in more ways than one. One of the biggest changes is that I used to blog about everything I made. Whether it was good or bad – it all went on the blog. I’m slowly going through the archives and working on those bad recipes now, trying to adapt them into good recipes. 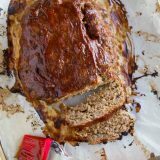 Because really – who wants to read about a bunch of recipes that don’t taste good?!? So today, I make things a lot more useful, and I only blog about the recipes that I really love. The same goes for cookbooks. I go through a lot of cookbooks. And not all of them make the cut – not all of them are good enough to be shared with all of you. In fact, just yesterday, I had the second recipe fail from a cookbook – so it’s going into the pile of non-shared cookbooks. But sometimes, it’s not so clear cut. I really want to share today’s cookbook – United States of Cakes – with you all because I think the book has some great recipe ideas, but there are a few areas where it falls a little short. And I managed to make this killer cheesecake from it, so at least there’s that!! I will completely admit that I was completely confused when I got this book. It’s obviously a dessert cookbook, but from the title, I was maybe expecting desserts from all over the country. But there aren’t different states mentioned. There are mentions of different places in California, but that’s it. Confusing #1. Then the subtitle on the cover reads “Tasty Traditional American Cakes, Cookies, Pies and Baked Goods”, but it wasn’t until I read the press release that I found out that it is actually a book about traditional baked goods with less sugar. You’ll read a little about this “twist” in the introduction, but it’s definitely not put out there that the premise of the book is American desserts made with less sugar. Confusing #2. This book is written by a Swedish pastry chef, and let’s just say that he is very confident. The book is full of photos, but be warned that a lot of them are of him – occasionally without a shirt. I’ll let you take that for what you will. Maybe he is a celebrity chef in Sweden, and that would make it make more sense. 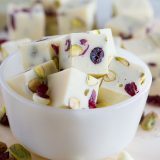 With all of that being said, I do like the idea of typical desserts made with less sugar. There aren’t sugar substitutes added, which I really appreciate, and overall, the recipes, while they do still contain sugar, do seem to be lighter on the sugar. Number of Photos: Lots. As mentioned above, there are a lot of photos, but not all of the food. But each recipe does have a photo of the finished dish. Difficulty Level of Recipes: Hard. Ok, I have to explain this one. I’m listing this as hard simply because I think there were some edits left out on recipes. I only made one recipe from the book, but some of the instructions were missing. Luckily, I’m in the kitchen a lot and was able to read through and figure things out, but if were just following the recipe, I probably wouldn’t have realized that steps were left out until it was too late. Also, the recipes in the book are listed in grams, so if you don’t have a kitchen scale, it would be impossible to follow. I ended up adjusting some ingredient quantities so that it made more sense for an American kitchen. The recipes are also made for convection ovens, so you need to keep that in mind. In the introduction, he does say to increase the temperature by 25º for a conventional oven, but I don’t think it’s always completely clear cut. Availability of Ingredients: Easy. As with most baking cookbooks, the ingredients are pretty straightforward and easy to find. Buy United States of Cakes on Amazon. Even with the issues I had, I still am loving the idea of traditional recipes with less sugar, so I can definitely see myself baking from this book more. 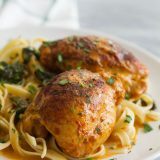 I think there are a lot of great traditional recipes that were chosen, as well as a few that are a little less traditional that sound like they would be great. I actually handed this cookbook over to my daughter and let her choose which recipe I was going to make. 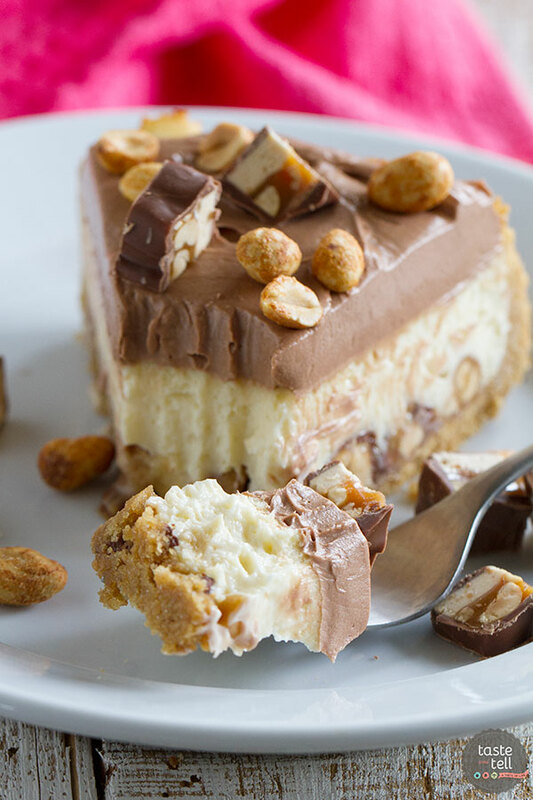 Since she claims that her favorite candy bar is Snickers, she easily and quickly chose this Snickers Cheesecake. You all know that I love cheesecake, so I was not disappointed when she told me of her choice. The crust on the cheesecake was originally a chocolate crust, made by adding in some cocoa powder. But I was completely out of cocoa powder when I made the crust, so I stuck with a more traditional crust. Making the crust was where there were some instructions missing – like to add the sugar. I’m only glad that I was paying attention. or the recipe would have truly been a less sugar recipe, inadvertently. 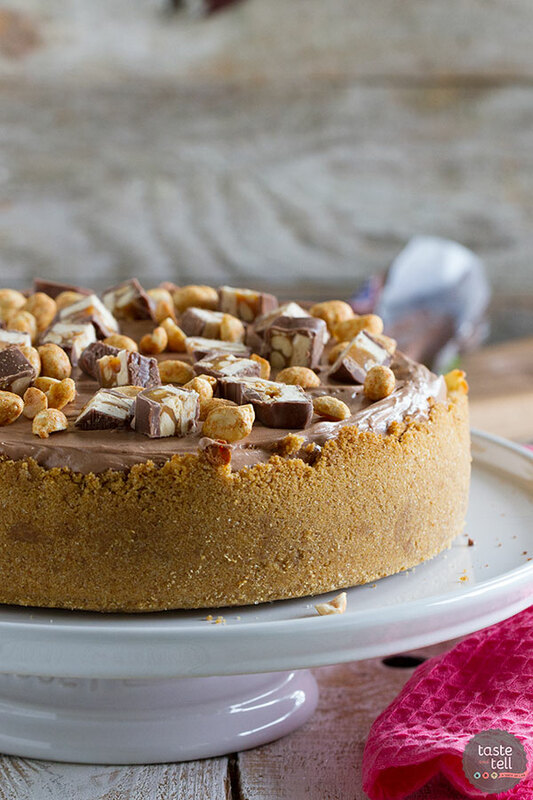 But it all worked out in the end, and this Snickers Cheesecake was a hit. The cheesecake layer is creamy and rich, and I love the idea to do a thick, cream cheese frosting layer. I ended up feeling like another layer of cheesecake instead of a frosting. The kids couldn’t wait to dig into this cheesecake, and I know my daughter was happy with her choice. It’s definitely a cheesecake to dream about! 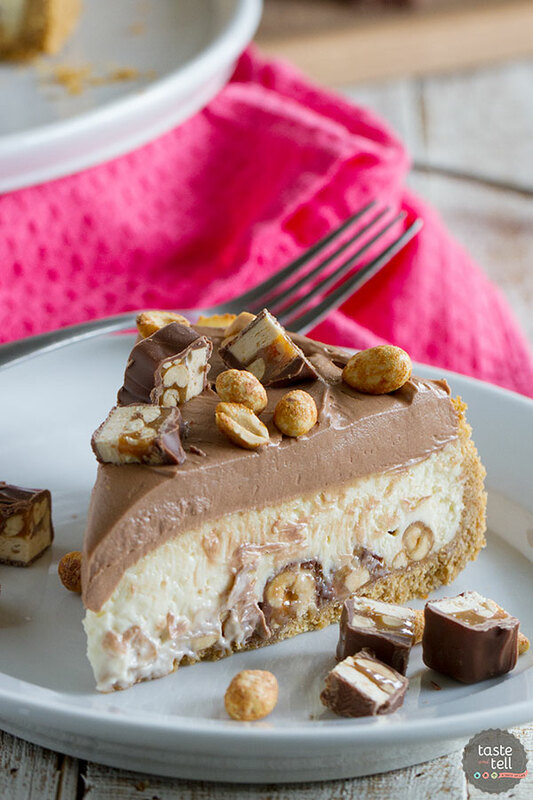 This Snickers Cheesecake has a graham cracker crust, chunks of Snickers candy bars, a creamy cheesecake layer, then a smooth, chocolate cream cheese frosting. Don’t forget more Snickers and peanuts on top! Place the graham crackers in a food processor and process until they are fine crumbs. Add in the sugar and the salt and process to combined. Add the butter and pulse until the mixture comes together and looks like wet sand. Transfer the crumbs to a 9-inch springform pan and press the crumbs down on the bottom and 1 1/2 inches up the sides of the pan. 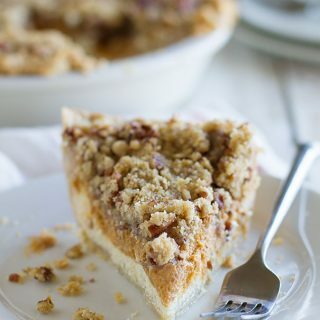 Use the bottom of a measuring cup if needed to make sure the crust is evenly packed. Place in the oven and bake for 7 minutes. Remove and allow the crust to cool. 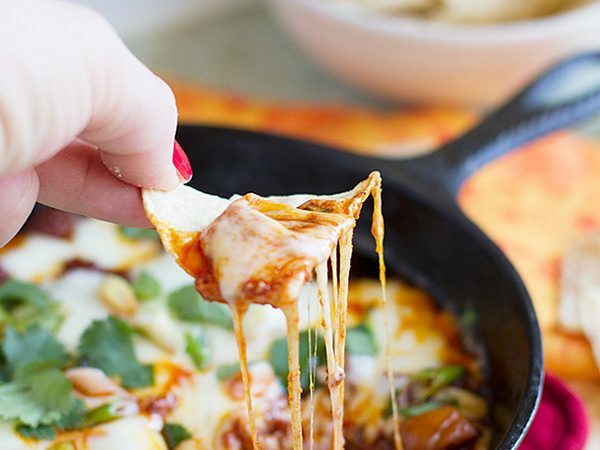 Increase the oven temperature to 400ºF. Place one rack in the center of the oven and one rack at a lower position. In the bowl of a stand mixer, beat the cream cheese and sugar until smooth. Add the flour and vanilla and mix to combine. Beat in the cream, then add the egg yolks and full eggs one at a time, scraping down the sides of the bowl as needed. Beat until the mixture is smooth. 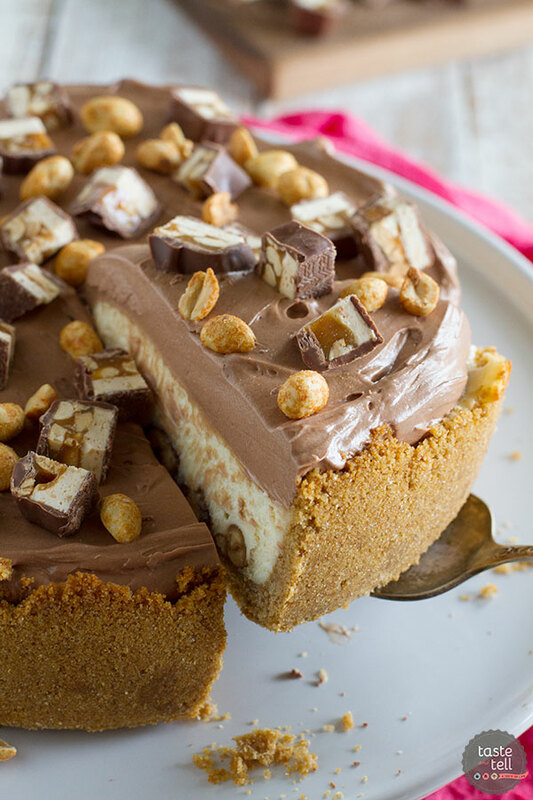 Sprinkle the chopped Snickers bars and the peanuts over the bottom of the crust. Pour the cheesecake mixture over them, and use an offset spatula to smooth the top. Place an ovenproof dish of hot water on the lower oven rack. Place the cheesecake on the middle rack. Bake the cheesecake at 400ºF for 12 minutes, then reduce the heat to 225ºF and continue to bake for another 45 minutes. The cheesecake is done when there is just a little bit of jiggle at the center of the cheesecake when you shake the pan. Turn off the oven and let the cheesecake remain in the oven for another hour. Transfer to the refrigerator to cool completely, preferably overnight. 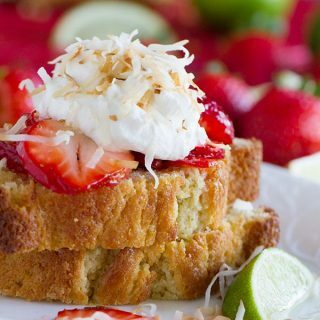 To make the frosting, beat the cream cheese and butter until light and smooth. 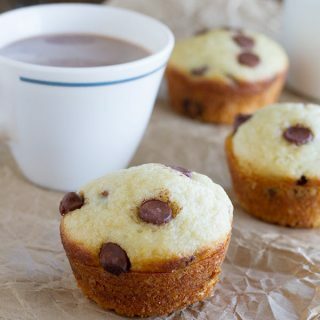 Add the powdered sugar, cocoa powder and vanilla and beat until the frosting is smooth. Slowly beat in the cream. Spread the frosting over the top of the cooled cheesecake. Top with the remaining Snickers bars and peanuts. Store the cheesecake in the refrigerator. 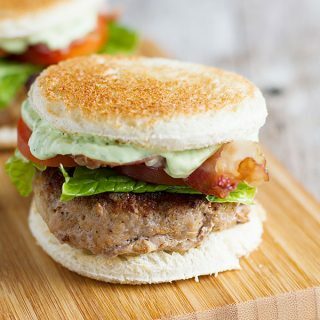 WOW this looks so delicious! I love snickers, so I can’t wait to make this for me and my hubby. Beautiful photos! 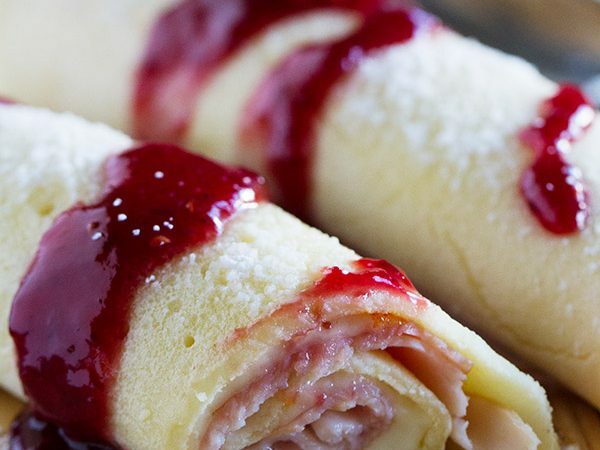 The cheesecake looks absolutely amazing, but I have to be honest, I would be a little put off by a Swedish chef writing a book about American sweets. The title also just seems so random!! I live in Sweden and it’s been my experience that cookbooks from Swedish chefs are notorious for being badly translated into English. It’s good to know that it’s most likely a translation issue!! Thanks! I just did a quick search on Amazon and the original title is “United States of Cakes : bakverk och sötsaker från den amerikanska västkusten”. Which translates to United States of Cake: Pastries and Sweets from the US West Coast. They didn’t even translate the title correctly. It would be interesting to compare an English and Swedish version of the book to see what has been lost. 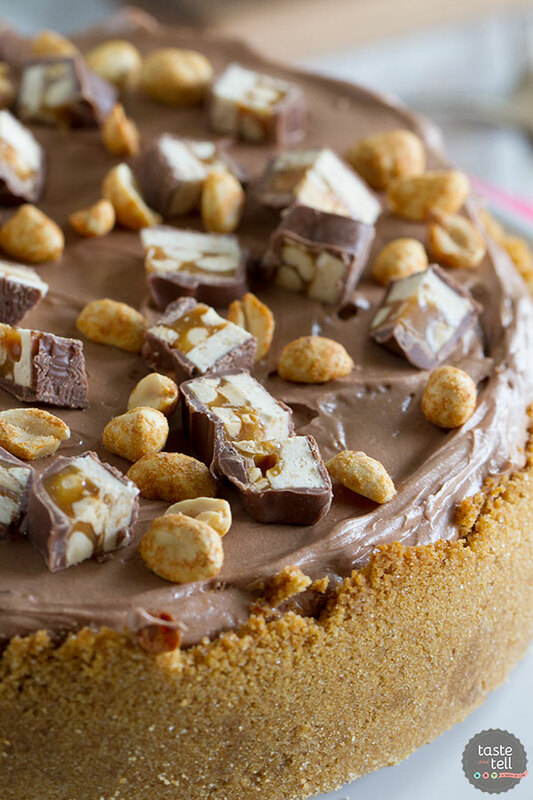 This cheesecake looks to die for — awesome photos! Ugh, so wish I had a piece of this in front of me right now! I made this for my daughters birthday thank you for recipe I wasn’t sure but I sprayed oil in spring pan I hope today that my crust stays together after I unlock pan other than that it looks great!! !